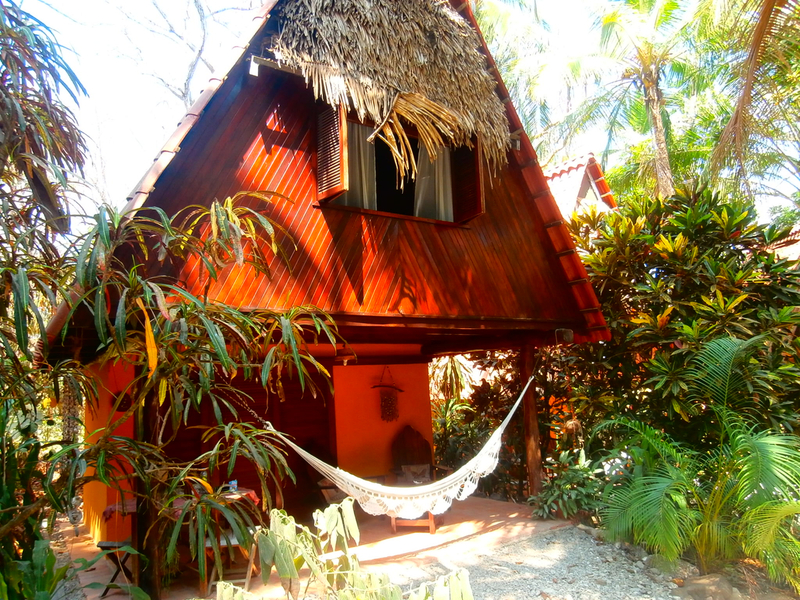 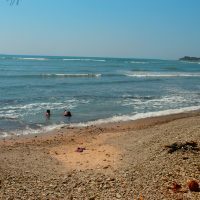 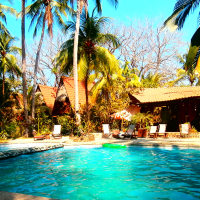 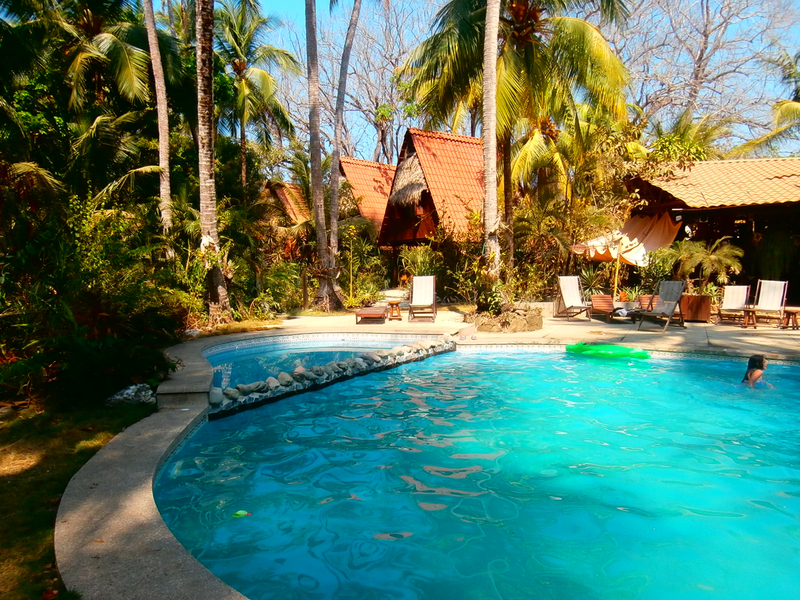 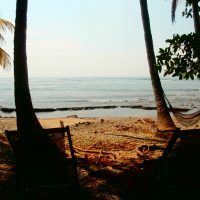 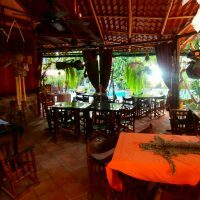 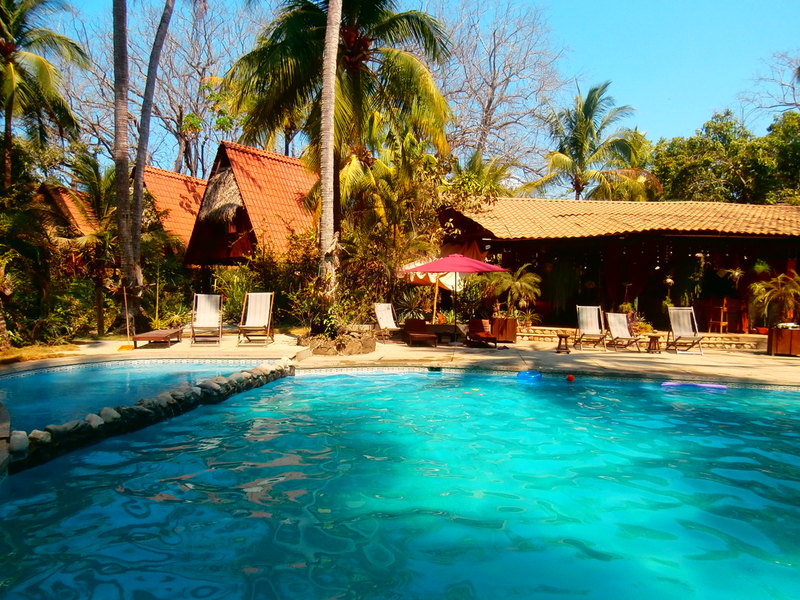 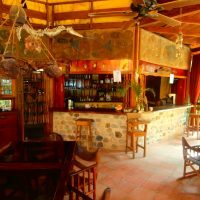 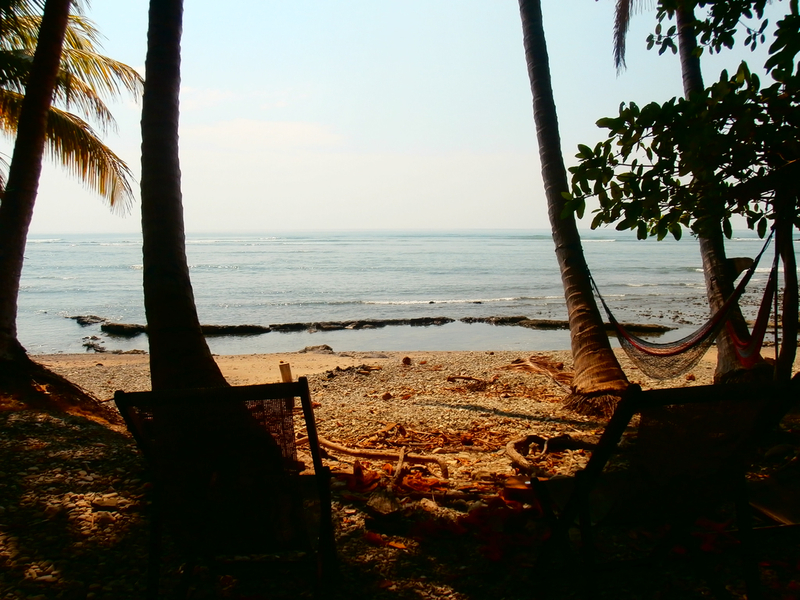 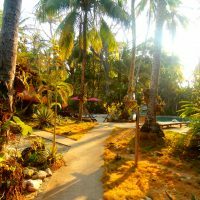 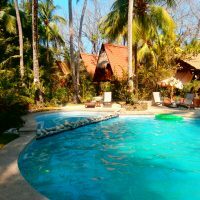 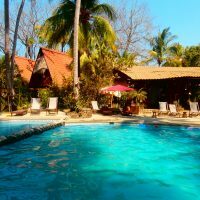 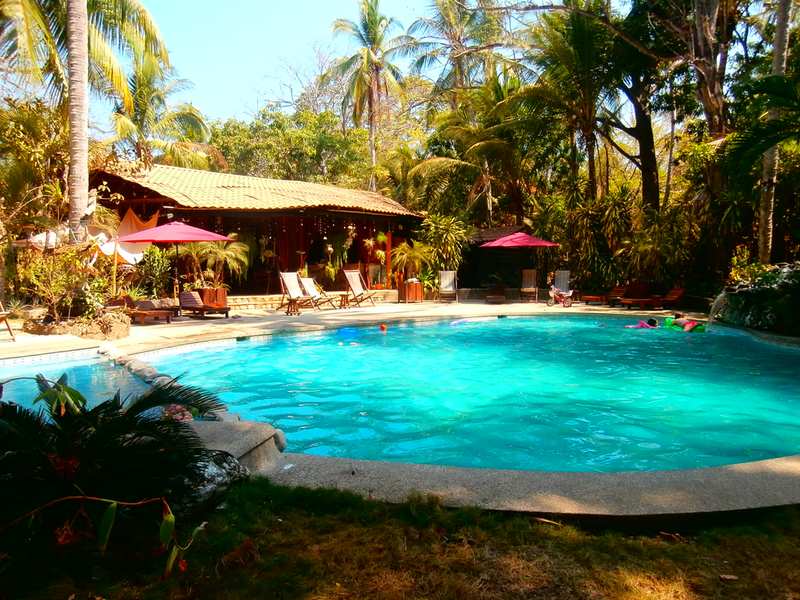 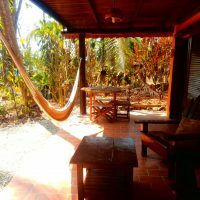 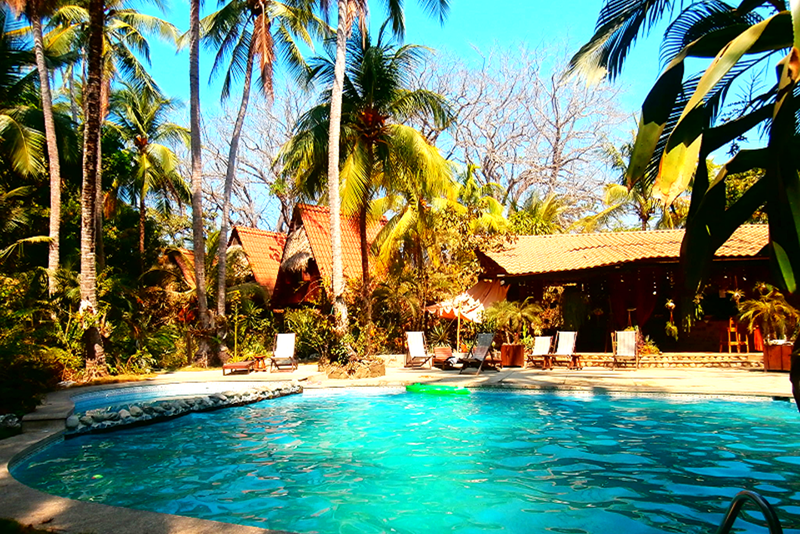 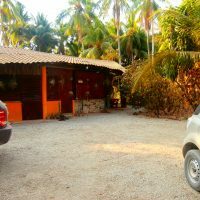 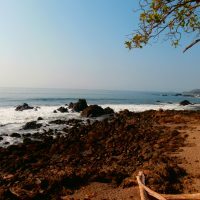 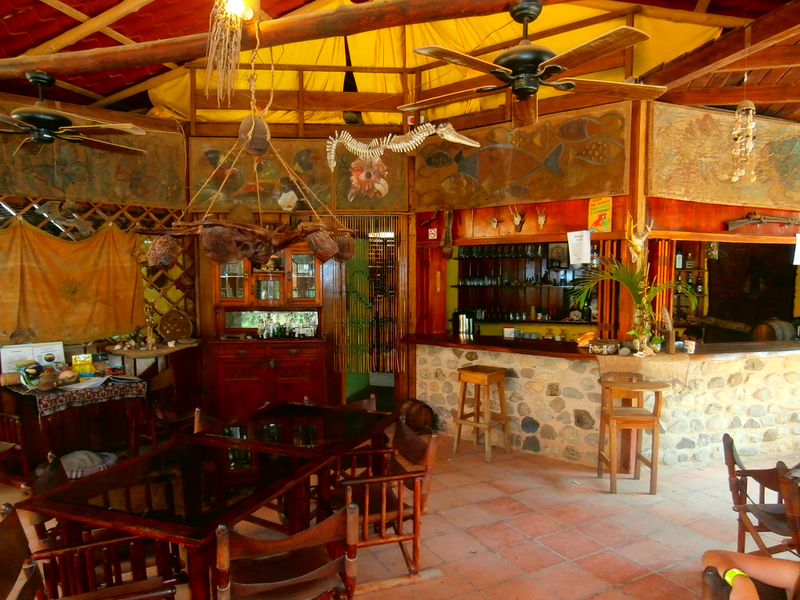 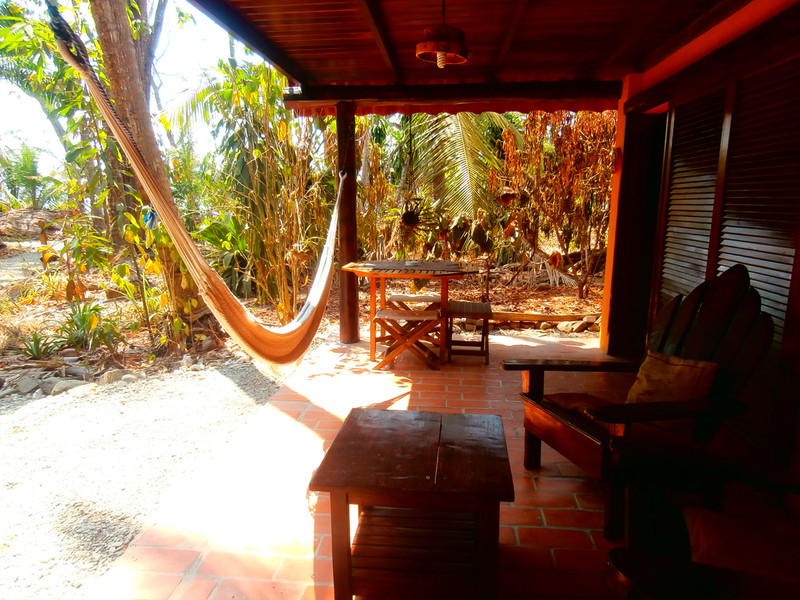 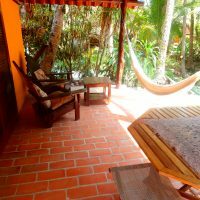 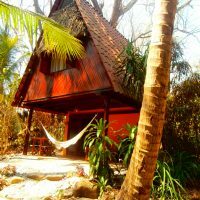 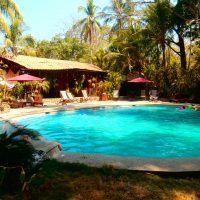 This is a beautiful prime beachfront hotel and restaurant near Montezuma, Peninsula Nicoya. 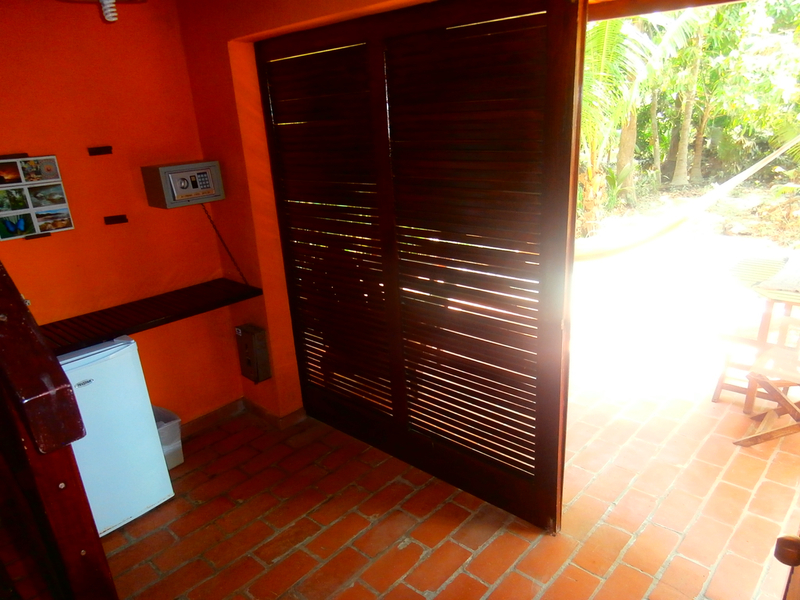 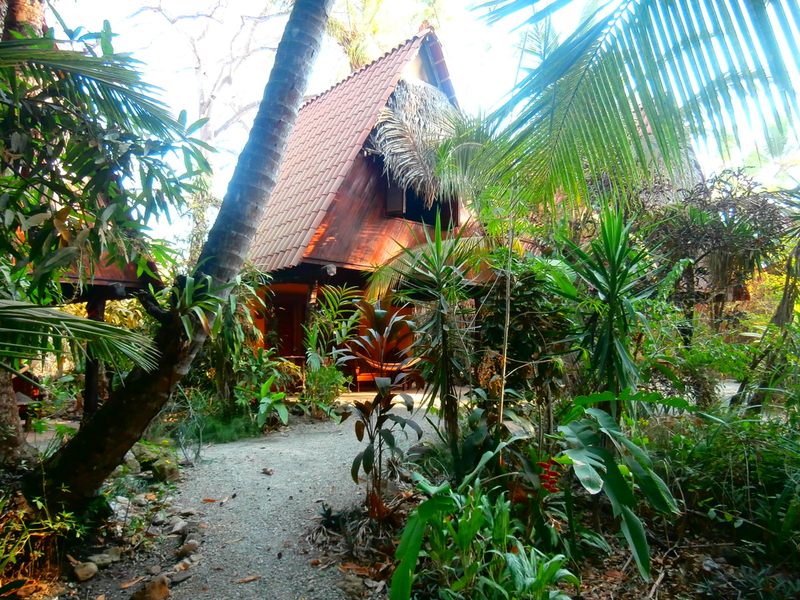 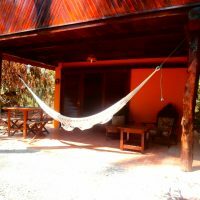 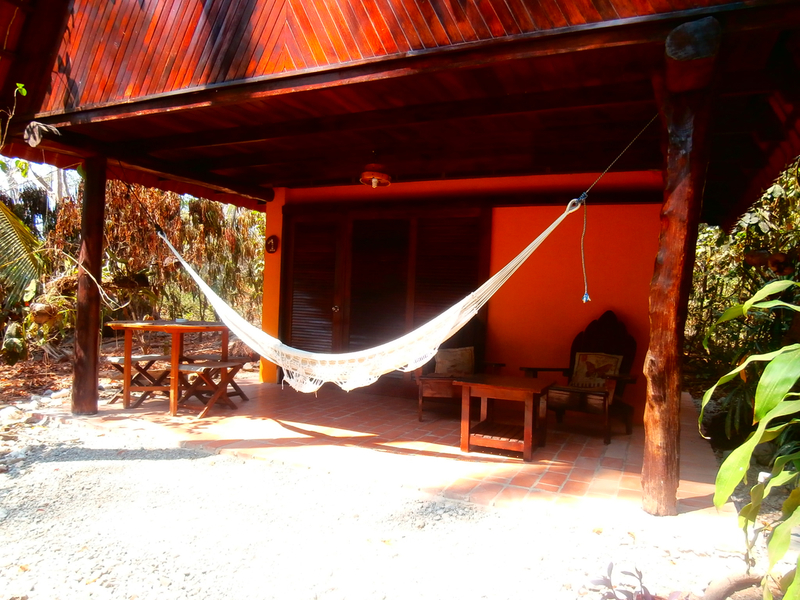 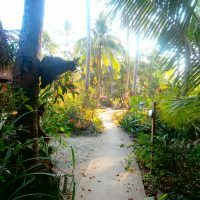 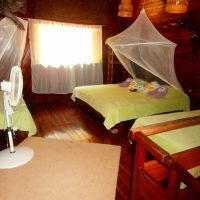 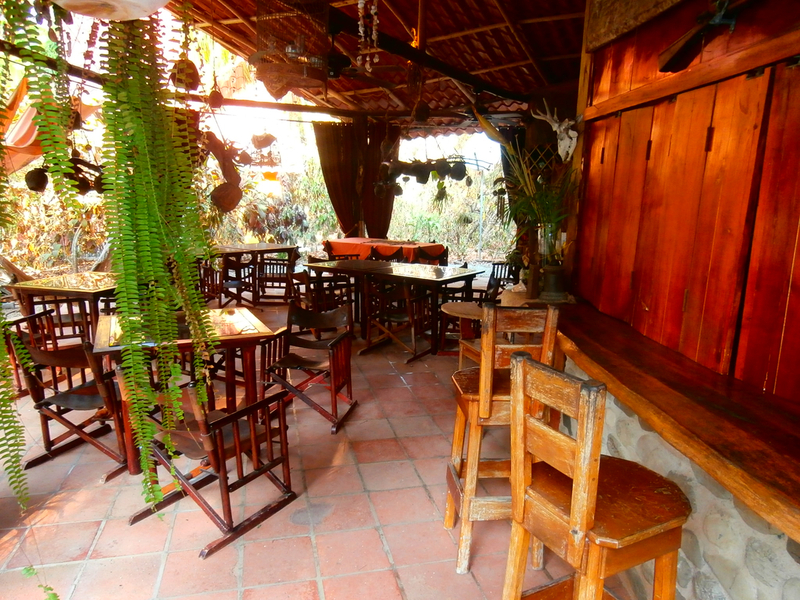 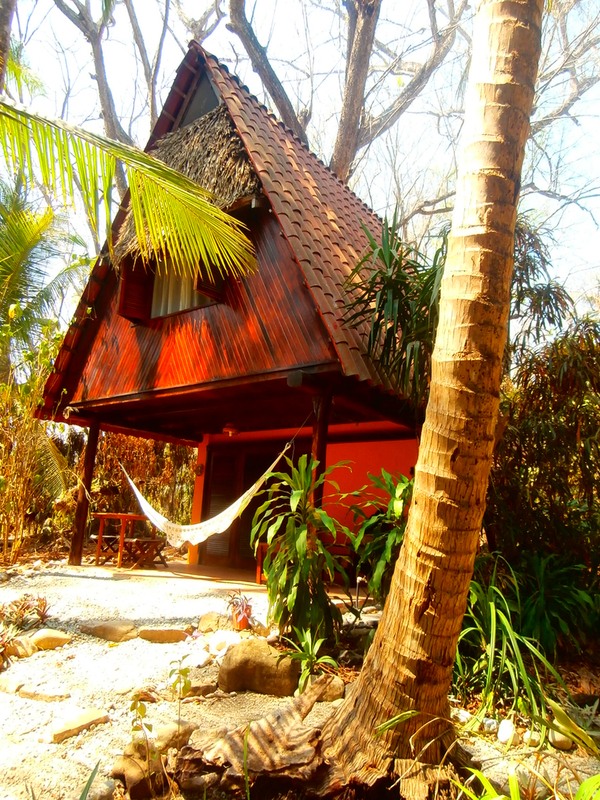 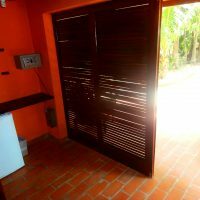 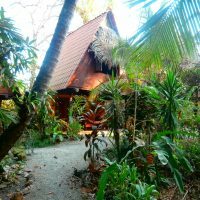 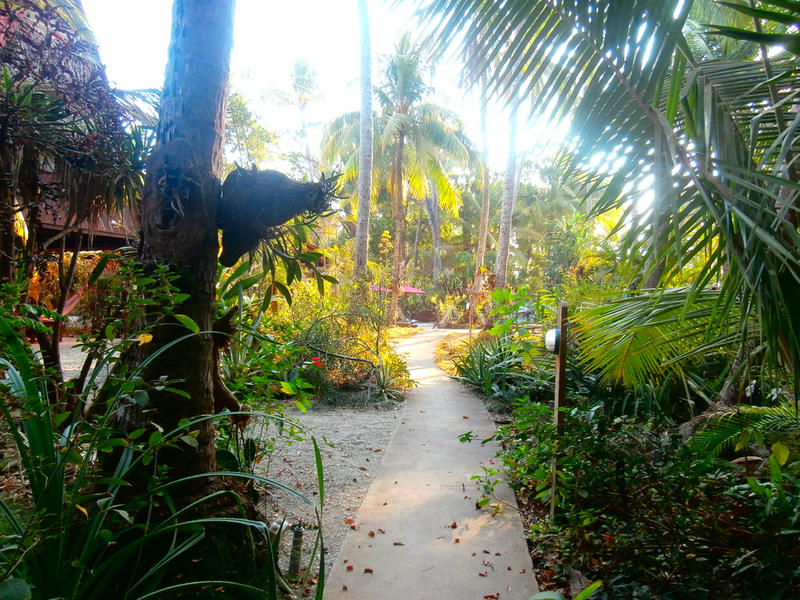 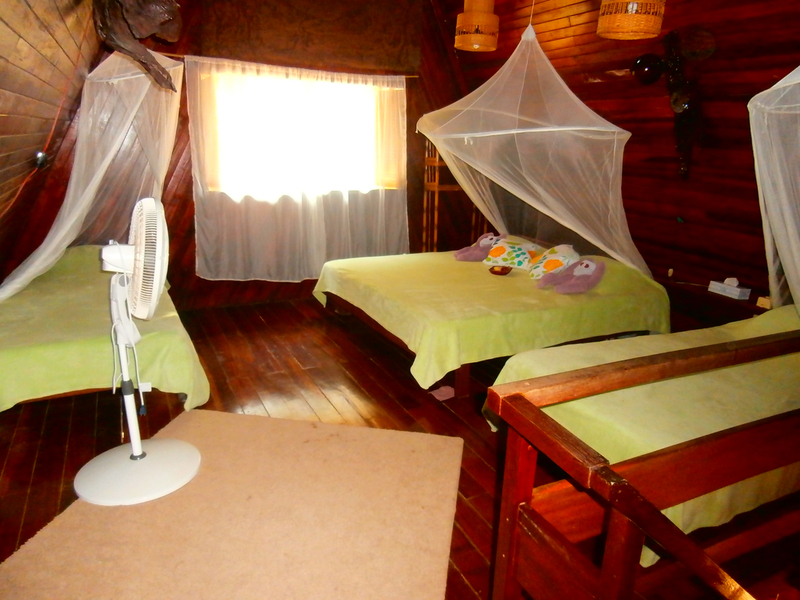 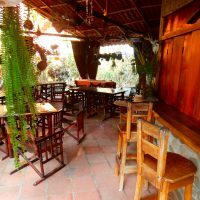 Hotel contains seven nice cottages of about 50 m2 construction each, sleeping four, all set in lush tropical jungle. 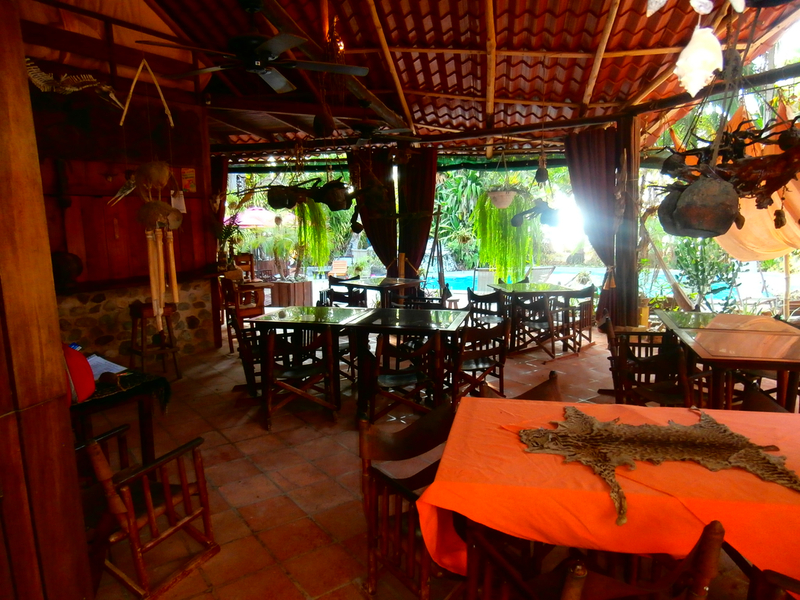 Restaurant seating about 30 guest is right next to a large swimming pool and caters both to hotel guests, same as public. 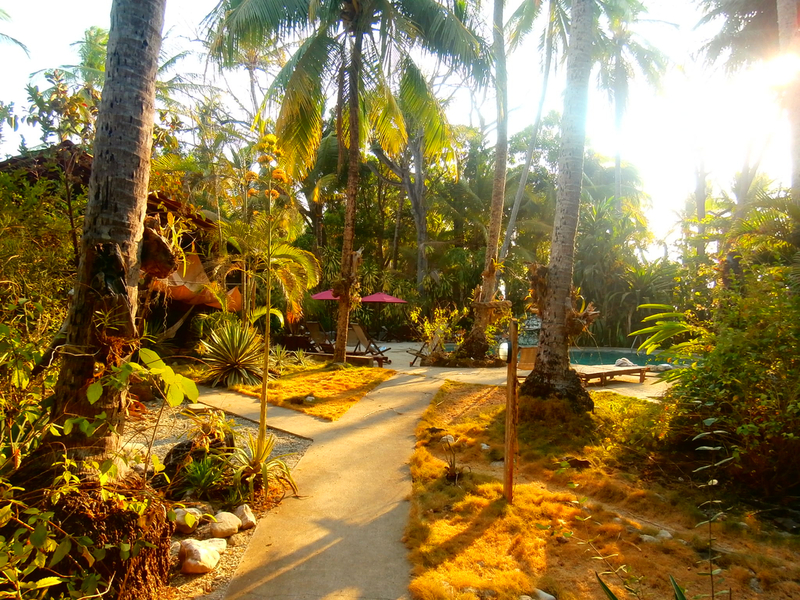 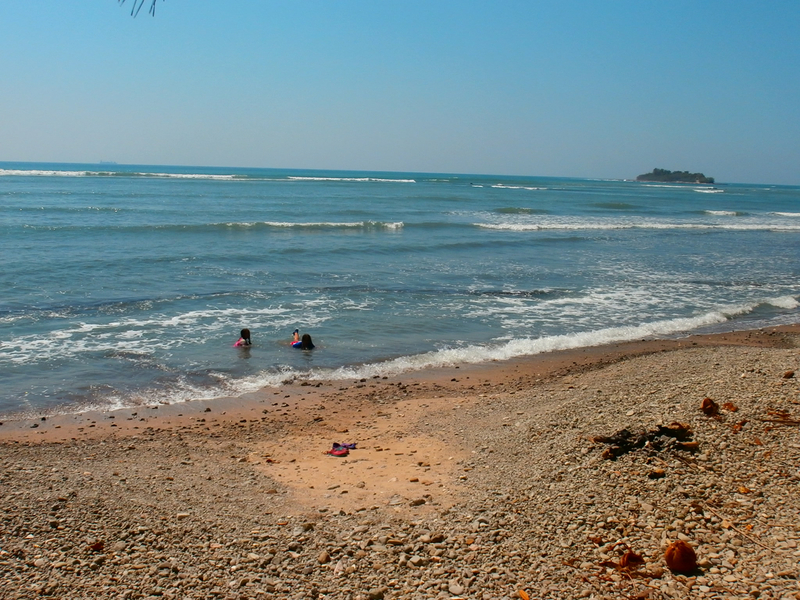 Ten meters from the pool is the beach, mix of sand and pebbles. 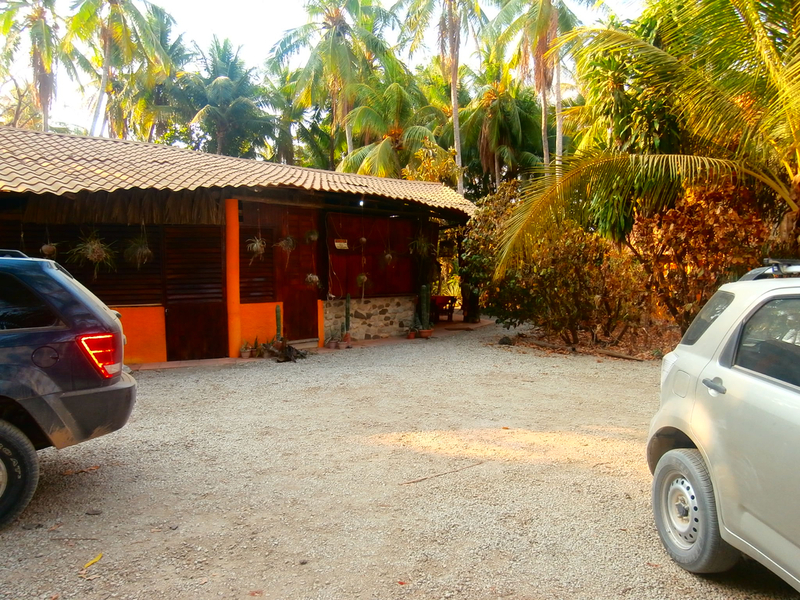 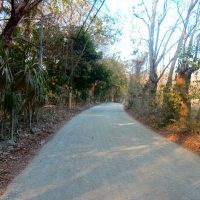 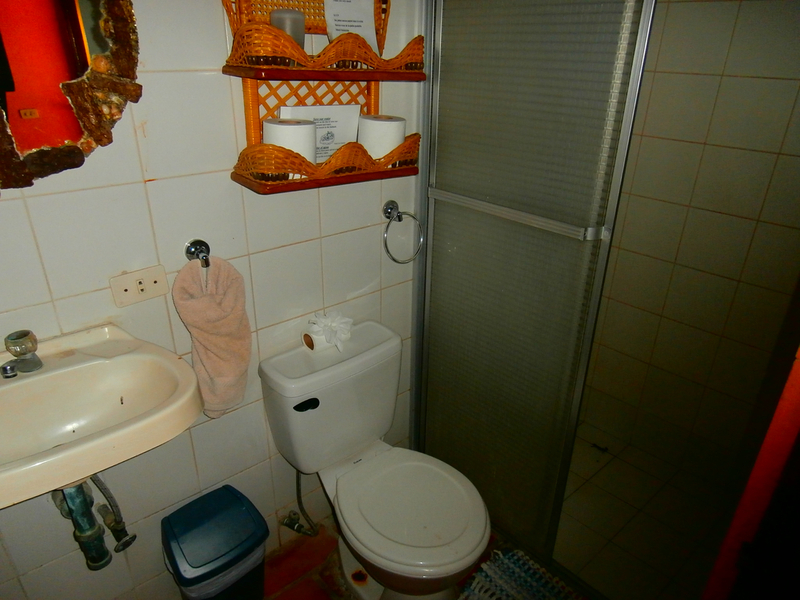 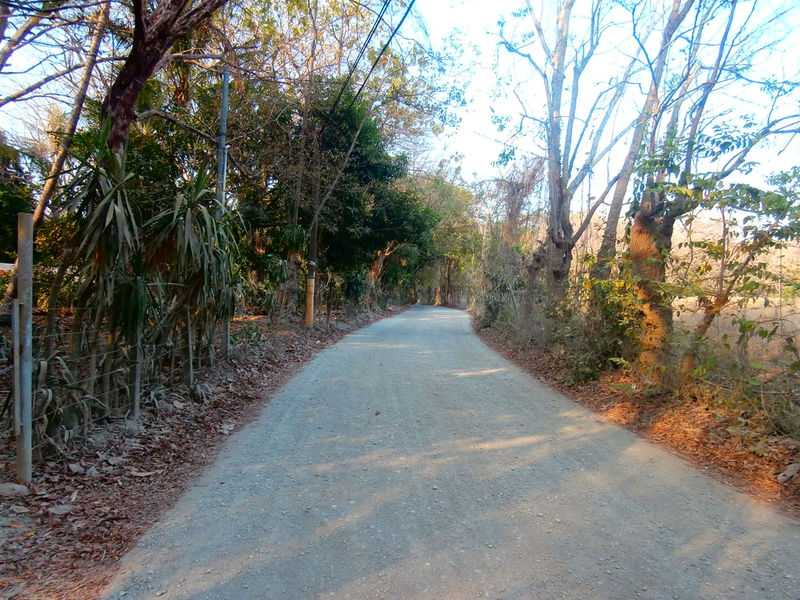 Land contains two adjacent lots, 3,500 m2 accomodating the hotel and 1,500 m2 one holding owner’s small residence. 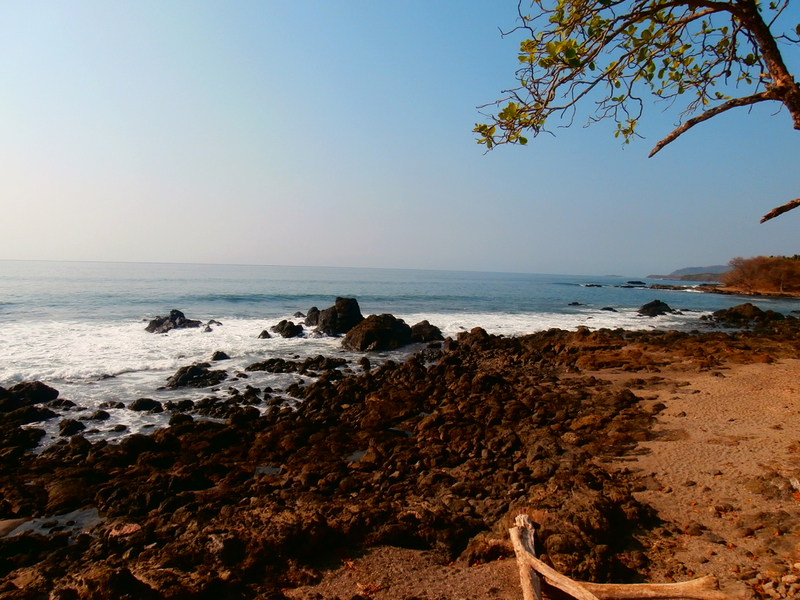 Both lots are beach front and expansion is possible. 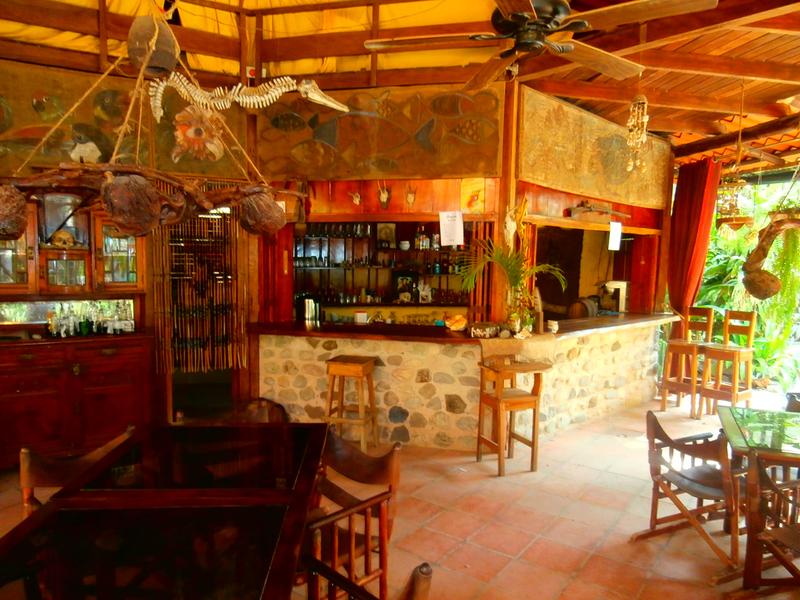 The place is in good state of repair and fully operational. 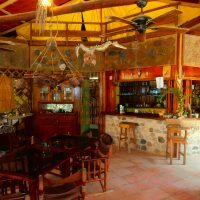 Great opportunity, turn-key business ! 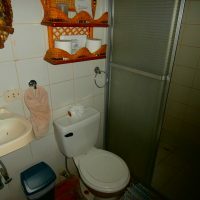 We are interested in this property. 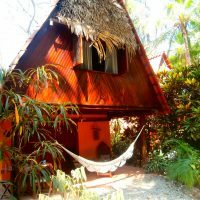 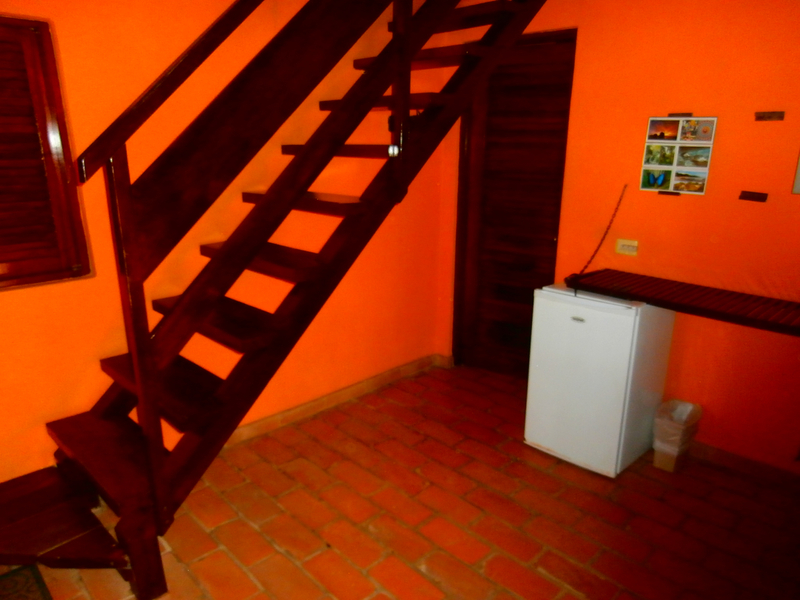 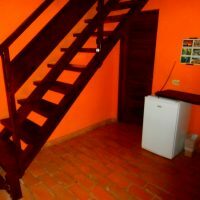 We will be in Costa Rica in May and would love to see it if it’s still available. 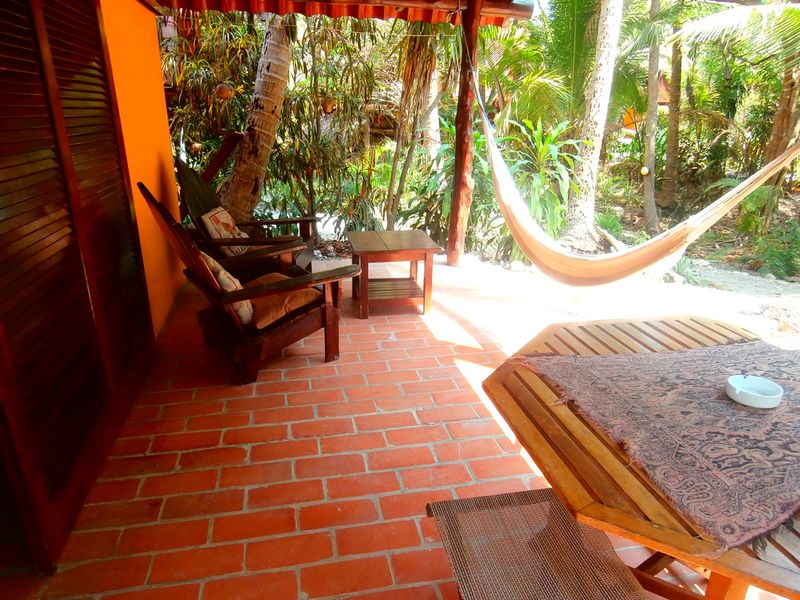 OK, let us know a few days before your arrival.